Gantt Chart PowerPoint Template is a simple presentation template for PowerPoint that you can use to create slides with attractive Gantt Charts. Inside this presentation template you can find pre-designed gantt chart with modern flat style that can help you to make presentations on project planning and time management PowerPoint presentations. 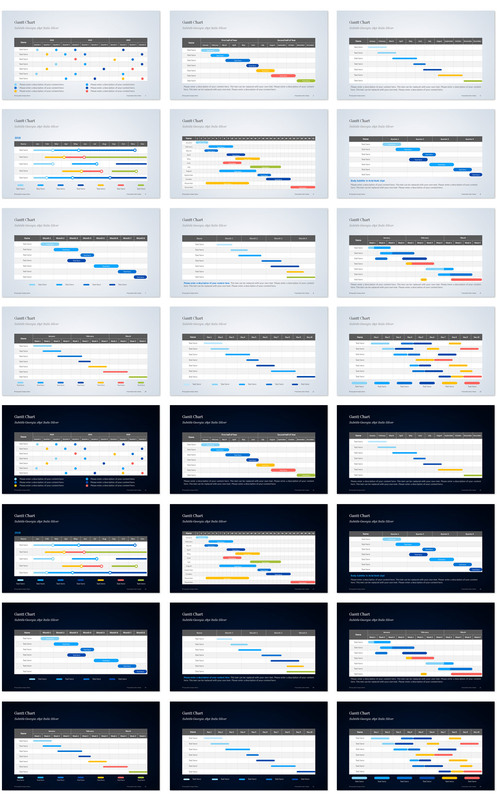 Gantt charts to visually display the planning of your project processes and timing within PowerPoint. 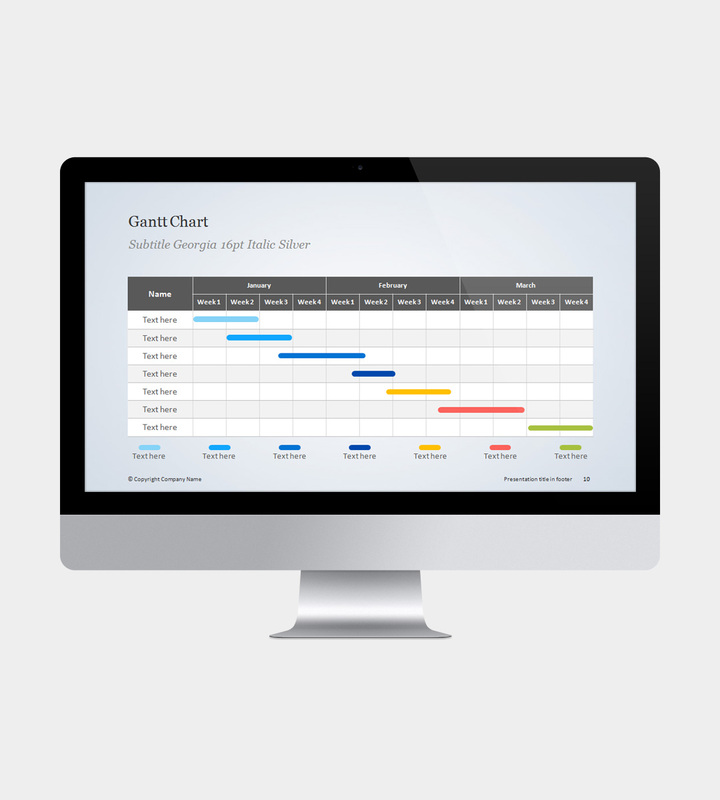 Gantt charts are ideal for project planning, project management and personal planning. The slide designs are perfect for making sure that tasks are completed.